There's good news and bad news. The bad news is Exposed is part of an ongoing series, but the good news is you don't have to read the other books in the series to know what's going on. While the main characters remain intact through each book, there is a stand alone novel, but to be fair, I plan on reading the other books in the series just to see how they measure up. 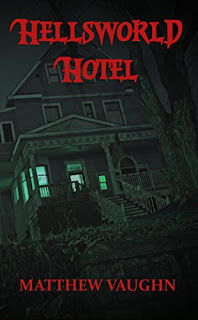 From just this novel alone, I like Bennie and Mary, but as the book goes on you can see cracks begin to form in their partnership because of a case that Mary has just taken on. Exposed starts out pretty simple. Lisa does mire us in legal hell for awhile, but once you get through that, it's smooth sailing. These parts of the book allow us to see that she's done her research, and it adds a tedious bit of realism to the novel. The draw here is Simon who is a character you can't help but like, and even cheer for. You see what he's going through and your heart breaks for him. The thing is, it feels like a simple legal thriller, but underneath the surface is something far more sinister. This is where Scottoline shines as a writer. She's able to elevate the simplicity of the story and add another layer to it so it becomes a compulsive read you won't be able to put down. When it comes to thrillers, I crave a great story, and characters I can either relate to, or cheer for. The conflict between the lawyers is nothing compared to what happens to Simon as the case takes a turn into far sinister territory. 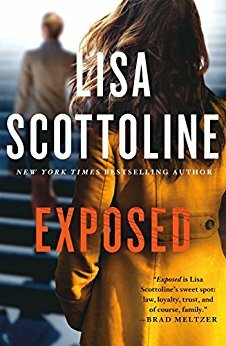 Exposed is both a legal thriller, as well as a novel full of suspense.At times, it does seem a bit predictable at times, but there's enough twists and turns here to matter, What it boils down to is the story, and how invested in it you become. This is a writer who gives you great characters, and plenty of moments where you begin to question where the novel is heading next. It's the things you don't see coming that really draw you in. It becomes more than just a case of wrongful firing, and becomes something else entirely. Sure, you could say this is nothing more than fluff, but sometimes we need fluff, we need novels that entertain us, and I say thank Lisa Scottoline. When this is released on August 15, I happen to think it's going to do pretty well, and it should. 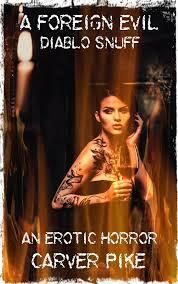 For fans of fast paced suspense, you can't go wrong with Exposed. It sounds cheesy, but it's the perfect beach novel, and most importantly, it's a book to read when you want to be entertained. Exposed delivers on a variety of fronts, and shows fans that these types of books are popular for a reason. Pre-order yourself a copy, you won't be disappointed.